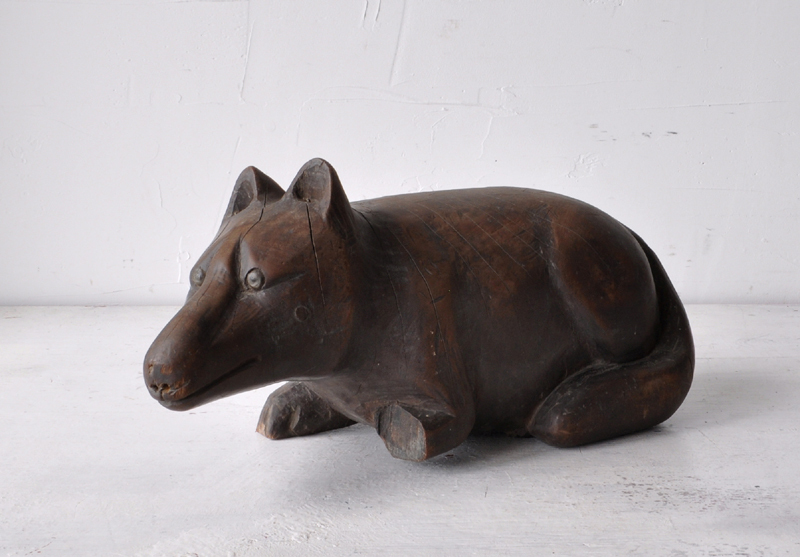 FOX OKIMONO (Dealer: hotoke antiques) – Unique aged wood carving okimono of fox (Inari fox god?) with such so unusual and weirdly lovely expression. Carved sign of ‘Made by Aimin’ at the bottom. Early 20th century, Japan as probably, as rare find.